Didier Versavel lives and works in Saint-Malo. After a DSAA at the Ecole BOULLE and 5 years in a reputable agency in furniture design, he created his agency in 2006 and now operates with factories and furniture distributors like Neology, and in architecture, interior design, object and graphic design. An impressive breadth, a hoarse voice and an out spokenness which belong to him, Christian Ghion is a Character. He was born in 1958 in Paris suburb where he grew up and he studied. After 5 years of Law studies during which he was wondering how to make his skills profitable, he finally decided to attempt the Paris-Conflans school of architecture where he chose to study the Furniture Creation. Few months later, he integrated the ENSCI, a school of industrial creation. Without plan and premeditation, Christian Ghion became a 28-year-old design graduate. Then he decided to create his own studio. He collaborated with well-known editors such as Cappellini, Driade, Poltrona Frau, Salviati, Sawaya & Moroni and XO. He was rewarded many times and received a distinctive award for "Le Grand Prix de la Création de la ville de Paris" in 1991. Lately, Christian Ghion took part in many projects of interior design. In January 2012, Christofle unveils its new line "Garden" for the bar, and in collaboration with Pierre Gagnaire, he drew a line of kitchen accessories for Alessi. 2013 will see the unveiling of the sculpture "SPIRIT" for the city of Seoul, Korea. 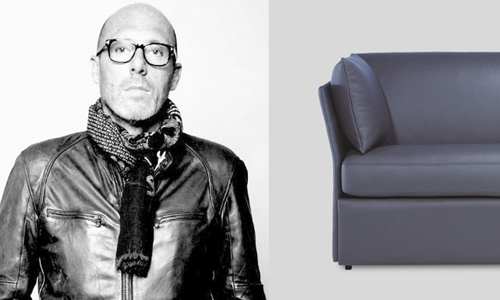 Born in 1959, Christophe Pillet has been living and working in Paris since 1988. He graduated from Nice’s Arts Décoratifs College in 1985 and became “Master of Domus Academy” in 1986. In 1993, he started to develop his activity independantly. He engages in many fields : product and furniture design, interior decoration, architecture, scenography and artistic direction. 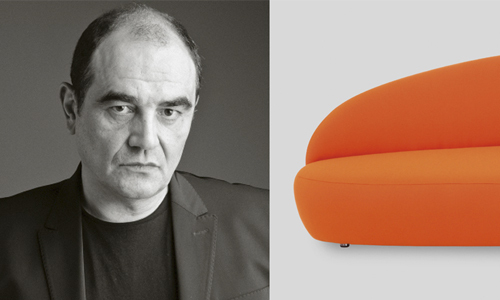 He creates furniture and objects for Cappellini, Daum, JC Decaux, Driade, Ecart International, L’Oréal, Lacoste, Moroso, Porro, Renault, Serralunga, Shiseido, Shu Uemura, Veuve Clicquot Ponsardin, Whirlpool… He also realises interior architecture for boutiques, hotels and restaurants such as Hôtel Sezz in Paris. Recently, he made the interior design of the Pullman Paris La Defense. In 2013, he created new objects for Cecotti, Fermob, Kartel and Lema. Graduated in architecture at the University Mc Kenzie in São Paulo, Percival Lafer integrates the family business in the 60s is in charge of design and product development. His obsession was therefore innovation. Each design must reflect the state of the art technology applied to innovative ideas. A succession of products, mainly chairs and sofas is successfully launched on the market. The business grew rapidly. New departments are created to enable the development of new ideas and new materials, especially a workshop specializing in fiberglass. Last stage of a life dedicated to the design: The recliners. The adventure began in the 80s and has never stopped since. Percival Lafer devotes his time to innovation and the creation of new forms to meet the new demands of consumers. 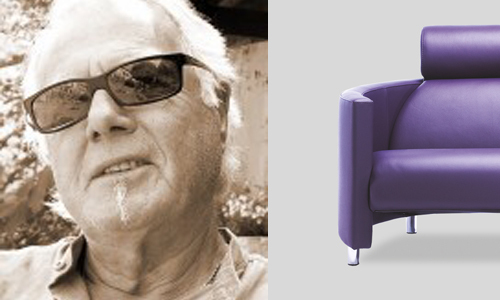 With an E N SA D graduate (French Art High School) he joins STEINER in 1969 and experiences his first great success with SWANY sofa in 1970. 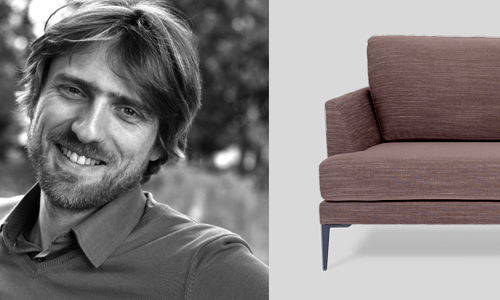 From then on, Sylvain JOLY's professional life, closely linked to his team of designers, is rhythmed by successful products with the most famous french trade marks and international industrials. The Agency has won an international reputation so far. Having a staff of 18 people,it has a cutting-edge position on the international market. Thanks to its size, notoriety and diversity of its creation, it is the most important European agency in this field with a background of dozens of thousands models sold worldwide. He summurizes the spirit of the Agency as follows : "the only pride of a designer should be to lead a product toward success rather than seek fame for the creator." 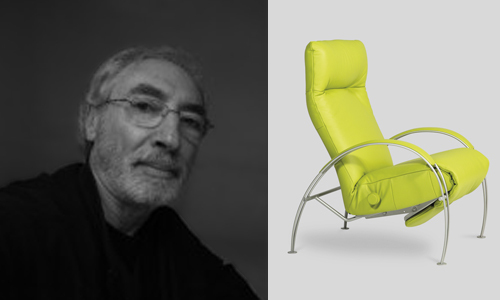 Born in 1937 in Paris is a self made man designer with a technical background. He collaborated with Renault to conceive car bodies. He started in the furniture business in 1967. 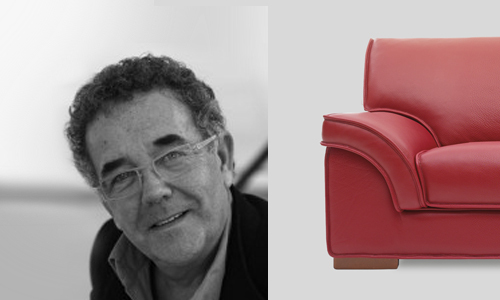 He made his first upholstery design in 1984. Aesthetic Research Award in 1992 (FONDEXPA). Best upholstery award in 94 (Interior Design Union). Several of his models can be seen in hotels and palaces around the world (Noga Hotel in Cannes, Beach plaza in Monte-Carlo, palaces in Dubai, in Qatar…). 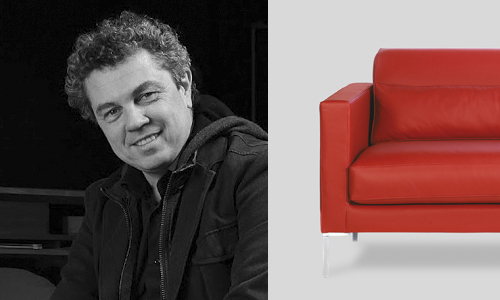 Pierre-Christophe Prot is a free electron in design and decoration. Without prejudice, in feeling trends, led by curiosity and desire for discovery, he crossed the world to visit all parts of what he sees as The big house. Respect for cultural roots and the care given to the balance of volumes, the creations of Pierre-Christophe Prot are the foundations of Désio collection, also manufactured in our workshops.